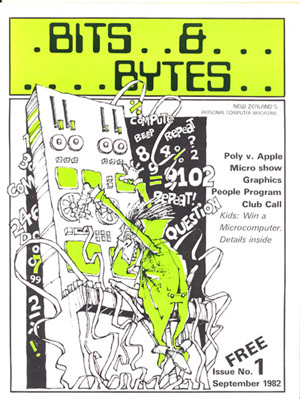 Specifications of New Zealand's very own Poly microcomputer and several articles about the Poly vrs Apple fight for the NZ school market. A humourous article on computer obsession, comparing it to an infectious disease. ...and the usual collection of classic computer advertisements!